Specialist motoring lawyers covering Milton Keynes and surrounding areas. If you are facing a Driving Offence Prosecution at Milton Keynes Magistrates’ Court or have received a Notice of Intended Prosecution (NIP) or a Court Summons for an alleged motoring offence committed in Milton Keynes, it’s crucial that you receive expert legal advice as soon as possible. Our Specialist Motoring Lawyers offer a no obligation initial telephone assessment if you are facing a motoring prosecution. If you would like to speak with one of our Experienced Motoring Offence Solicitors, please call 01908 429 890 or alternatively complete our Contact Form at the bottom of this page and one of our lawyers will call you back. Our Solicitors and Barristers frequently represent motorists and commercial clients for the full range of motoring offences, from Causing Death by Dangerous Driving through to less serious driving offences such as Speeding, Using a Mobile Phone Whilst Driving, Totting-Up, Drink Driving and Failing to Furnish Driver Information. As an industry leading National Driving Offence Law Firm with an office in Milton Keynes we are frequently instructed by drivers and Transport Companies to represent clients before Milton Keynes Magistrates’ Court. If you are being prosecuted for an alleged motoring offence committed in Milton Keynes, Bletchley, Leighton Buzzard, Buckingham, Bedford or other surrounding areas, then we can help you. As a high-end law firm with a strong focus on Driving Offences, we are recognised as one of the Best Motoring Law Firms in the Milton Keynes area. You can view reviews from our clients on Trustpilot, Yell and Google Reviews. 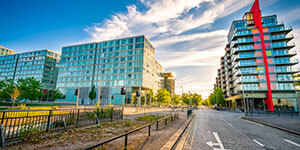 Kang & Co Solicitors have an office branch conveniently located right in the town center of Milton Keynes. The office location is perfect for clients coming in for their booked face to face meetings. 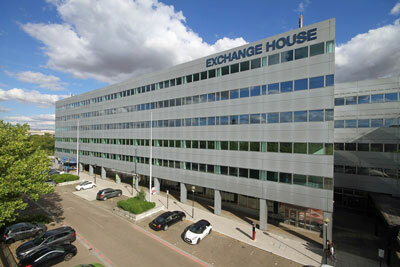 There is parking connected to the Exchange House building making it easy to drive directly to our office. If you are travelling by train to visit the office then it is simply a straightforward 15 minute walk from Milton Keynes Train Station. If you have been prosecuted for a motoring offence in the Milton Keynes area you will likely be attending the local Magistrates’ Court. Below is the address for the court rooms. Why Choose Kang & Co Solicitors? Litigation or instructing a lawyer can be a distressing and tough time, for most people. At Kang & Co Solicitors we understand that clients instruct lawyers to act on their behalf because they need expert legal help and assistance. As a firm that prides itself on quality, we strive to provide a personal service to each client. Frequently businesses treat clients / customers as a number and do not take the time to understand the specifics needs and concerns of each client, because those businesses may not have a desire to provide a personal service to their clients. A lawyer (solicitor or barrister) is an adviser and the client an individual with specific needs and requirements, at Kang & Co Solicitors we understand that all our clients are different and have different requirements. We don’t adopt a ‘one size fits all approach’ we treat each client individually and take time to understand our clients on a personal basis. It takes time to build a healthy lawyer / client relationship and this re-assures our clients that we understand their specific needs and concerns. Our lawyers are trained not to treat clients ‘as a number’ and to understand that litigation can be a challenging time for the client, this therefore requires empathy and understanding from our lawyers. If you decide to instruct Kang & Co Solicitors, you will be safe in the knowledge that you will receive a personal service from all our lawyers. We pride ourselves on being open and transparent with our clients regarding the likely legal fees if we are instructed on a case. Our solicitor and barristers have an hourly charge out rate of £250+VAT, however we also offer legal advice and representation on a ‘fixed fee’ basis. This involves an estimation as to the likely amount of time required to conclude a case and a fixed fee is then agreed between the lawyer and client. The advantage to a client on instructing us on a fixed fee is that the client is fully aware of the legal costs and are safe in the knowledge that our legal fees are capped at each stage. The fixed fee will usually include our travelling time (if appropriate), our waiting time (if appropriate), our travel costs (railway faire) and any unforeseen additional work. Offering our clients, the option to instruct us on a fixed fee provides our clients with real value for money and peace of mind. As a firm committed to providing high-end quality legal services to all our clients, we guarantee that all our lawyers are highly experienced and qualified Solicitors or Barristers, with a wealth of academic and practical experience. Legal services are a bespoke product which should be tailored to individual circumstances and heavily depend upon the training, knowledge, experience and skill of the lawyer working on the case. These qualities ultimately have a significant impact upon how the case develops and the eventual outcome of a case. 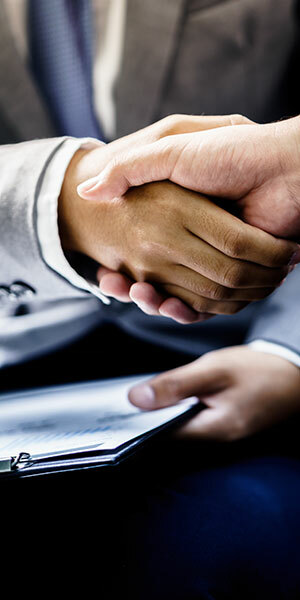 We understand that clients instructing us to act on their behalf have come to us because they expect the best, as the consequences of an unsuccessful outcome can be long-lasting and extremely costly in terms of their reputation and financial circumstances. It is for this very reason we only have highly experienced and qualified solicitors or barristers working on behalf of our clients, as this significantly increases the prospect of achieving a successful result for our clients. We guarantee that if you instruct us to represent you or your business, your case will not be handled by an unqualified lawyer. This forms part of our client service promise. The purpose of the notice of intended prosecution (NIP) is to inform a potential defendant that they may be prosecuted for an offence they are believed to have committed. When you receive an NIP, it does not automatically mean that you are going to face prosecution, it is a warning that you may face a prosecution. If the registered keeper has changed address/not informed DVLA etc., if the NIP arrived at the address on record for the registered keeper within 14 days, it is still valid. The registered keeper then has an obligation to identify the driver. If you are facing a prosecution for a speeding offence and it is dealt with by way of a Fixed Penalty Notice (FPN), the penalty will be a £100.00 fine and an endorsement of 3 penalty points upon your driving licence. If a Fixed Penalty Notice (FPN) is not suitable and you are being prosecuted for a speeding offence committed in or around Milton Keynes, you will be prosecuted before Milton Keynes Magistrates’ Court, the penalty for speeding is a maximum fine of £1000.00 (the maximum is £2,500.00 if the speeding occurred on a motorway) and the endorsement of between 3 and 6 penalty points or a Driving Ban. Our truly specialist solicitors and barristers are experts at defending clients who have been charged with a driving offence or are facing potential punishment.